Congratulations to Mr. Scott Goldthorp and the Rosa International Middle School MathCounts team on their win at Regionals Feb. 7 at Rowan University! 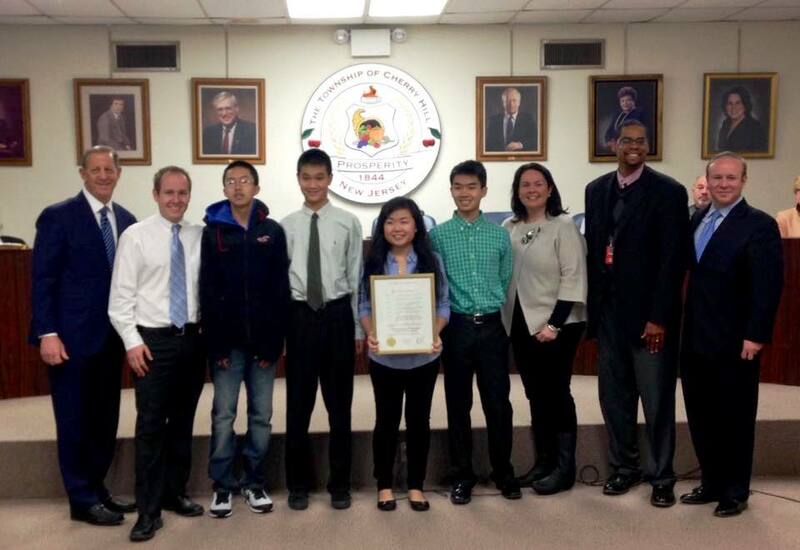 Mayor Chuck Cahn and the members of Cherry Hill Township Council honored team members Kevin Hu, Katrina Chen, Andy Zhong and Harrison Yang at the Council meeting on Monday, Feb. 23. Best of luck to these bright young men and women as they move onto the State Competition in March and, we hope, to Nationals later this year!